As a musician, I can appreciate a good music backing track system. As a podcaster, I am always looking for new ways to enhance my audio and video podcasts. Band in a Box has been around for 28 years, making MIDI arranged music. With today’s technology, Band in a Box has become a great tool for musicians to get their ideas out. Coming to the interface, the song making process was not that difficult. I was able to make some 12 bar songs with a wide array of musical styles. Since Biab started in MIDI, there was a great selection of styles to choose from. But the software also has live backing tracks – real musicians playing standard patterns that I could use to make the song sound better. The base software comes with RealBand 2018, with over 300 real tracks. There are also ways to bring in your own 3rd party loops and sounds. That way if you have something started in another program, you can import and use to make updated, or new songs. The software also has the ability to add melodic lines and lyrics so you can create fakebook style sheets for practice or performance. There is a way to send your songs to the Biab iOS app. A gigging musician will love this, as they’ll be able to take their songs on the road. If a content creator has basic knowledge of writing music, they will be able to figure out the software to make some backing tracks for their shows. A Youtube creator also could benefit from this software to enhancing their shows. Just like I did in this episode. For $129, you are not paying a lot for a valuable tool. 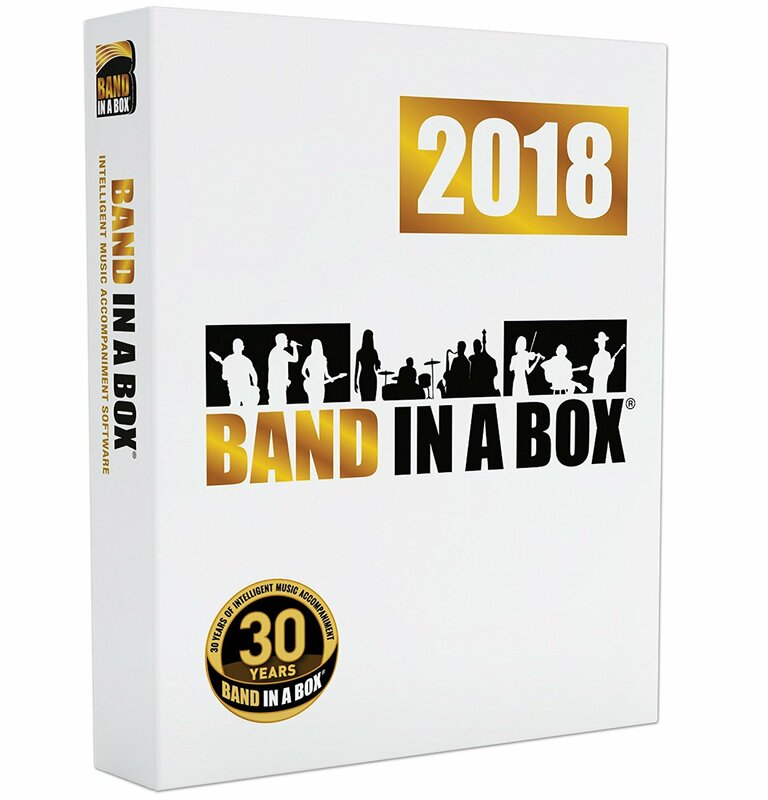 Get Band in a Box here, and check out PGMusic.com for more information.